Livingston Security Services begin with a idea to help keep people and property safe, I see crime growning as well as police response slowing, so I came up with the great idea to some how help the people who need help by starting up a security company. I thought that if I could offer security services to homes, that would help slow down a break in, then I decided to provide service to businesses and retail stores to slow theft and that's when I got the best idea to offer security services for multiple purposes. Livingston Security Services is currently offered around southern California, but hopefully in the future, it will offer business all around the united states. 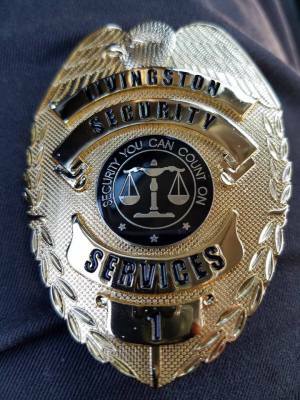 Livingston Security Services offers a variety of unarmed security services from retail security, homeowners associations security, parking lot security, wedding receptions and many other events and security services. Please feel free to asks for other security services as we offer temporary security services as well as long term security services, we will come up with a solution to your security request. We are a newly formed fully functioning security company that is licensed, bonded and fully insured. We are a fully function security company, all our guards are trained regularly and are top of the line security professions. We are a new security company, but I have been in the security profession well over 11 years, I have been trained by top of the line security professionals and I know with the knowledge I have gathered over the years, that I can successfully secure your business.